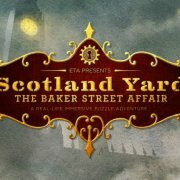 SEATTLE, WA, March 23, 2017 – On Saturday, May 20, 2017, the ballroom at the Hyatt Olive 8 hotel in downtown Seattle will be transformed into Victorian-era London, as part of the ETA Presents event – Scotland Yard: The Baker Street Affair. A suspicious death on Baker Street has caused quite the panic in the city. Not only is everyone on edge because there is a murderer at large, but there is also the rumor that the neighborhood’s most enigmatic resident, Sherlock Holmes, is implicated as the prime suspect. With Sherlock unavailable to assist in this case, Scotland Yard has turned to a new class of consulting detectives for help. This backstory sets up an intriguing plot of a classic murder mystery. In this instance, event participants will do much more than turning pages to find out how the story develops. Teams of puzzle enthusiasts and fans of detective mystery stories will use their powers of observation and deduction to suss out the who, how, and why behind the crime. They will interact with the scenes, locations and characters from the story, and experience the tense cat-and-mouse game throughout their investigation. Time is of the essence. Teams have only two hours to complete their mission, before the villain gets away and Sherlock is arrested for a crime he did not commit. 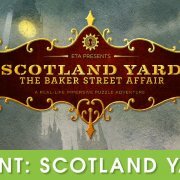 Scotland Yard: The Baker Street Affair is the first in a series of Scotland Yard puzzle adventure events from ETA Presents. Tickets for this exclusive event are available today and can be reserved by visiting https://epicteamadventures.com/baker-street-affair. Each of the 6 sessions can host 25 teams of up to 4 players. Only one ticket per team is required, and the lead investigator is in charge of assembling detective team members. 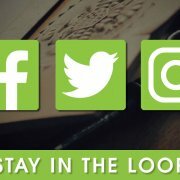 A limited time early-bird discount is available through April 2, 2017, and members of Epic Adventure Club (ETA’s customer loyalty program) will receive an additional discount. Players can also purchase event exclusive merchandise and discounted adventure tickets to Epic Team Adventures. Epic Team Adventures specializes in immersive puzzle adventure series, and currently has 7 adventures in 5 different series at its facility in Seattle, Washington. ETA’s games are known for their thematic puzzles, high production quality, and innovative game play. https://dnykzaiyz1lf9.cloudfront.net/wp-content/uploads/2017/04/10021740/ETA_Web_Banners_primary_scotlandyard_web.jpg 576 1024 garnett https://dnykzaiyz1lf9.cloudfront.net/wp-content/uploads/2017/03/20171333/eta-logo-white-340-8bit.png garnett2017-03-23 20:26:452017-05-20 20:48:46Experience a real-life mystery adventure with "Scotland Yard: The Baker Street Affair"